Paperpokés - Pokémon Papercraft: MEGA CHARIZARD Y - 20 YEARS OF POKÉMON! MEGA CHARIZARD Y - 20 YEARS OF POKÉMON! 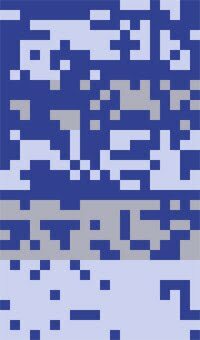 Interesting Facts: Upon mega evolving, Charizard Y becomes more sleeky and expansive. 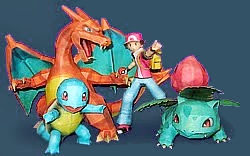 While it keeps the type and coloration of Charizard, the pupils are white, three pointed horns on the top of the head, the neck is shorter and the hands much smaller, but with a larger torso and legs. It develops small wings on the wrists, while the ones on he back become larger and have ragged edges. It has three thornes and a much larger flame than regular Charizard. It is said to have incredible flying prowess, reching incredible heights. NOTES: Start the model at the head and close at the feet. Needs to be weighed to stand. It's important to reinforce the connection between the wings and the body, glue some scrap paper inside. Further instructions on the packs and the template. Hi there, i love your work. OMG yes! Thanks for this! 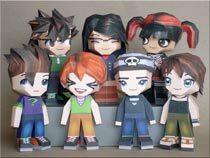 I was missing your paper craft for the 2 months! WOW WOW This is an exicting model especially with the celebration of 20 years. :) can't wait to build it. Yes! 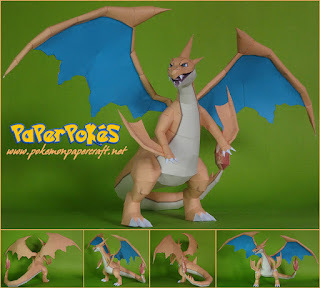 This is the Papercraft Mega I have been waiting for ever since 6th gen was announced! can you please tell me all the materials you use to make this so i can buy them for myself? What kind of paper should i use?